A baby cow was out walking with his mother when his hoof was run over, leaving him injured and unable to stand. 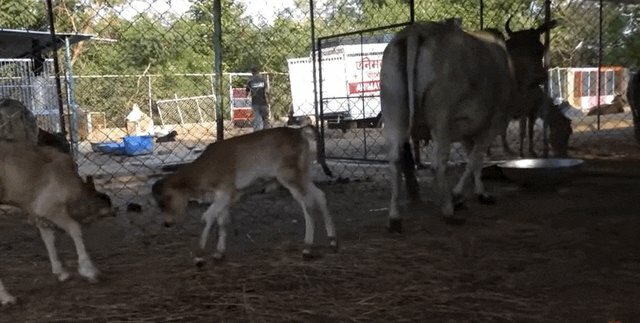 Animal Aid Unlimited, a rescue organization in India, heard about the calf in need and came to help. 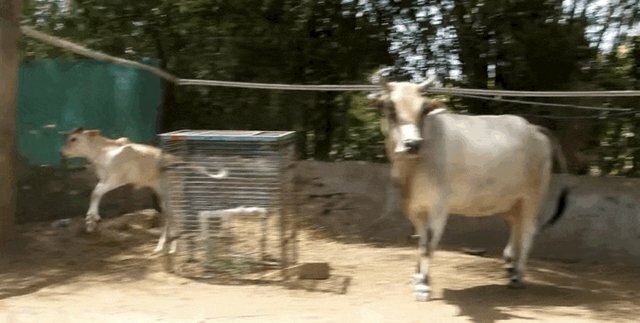 When the group arrived, someone had already tied a rag around the calf's hoof to stop the bleeding, but he still couldn't stand up. His mom hovered near by, desperate to help. ... and then she realized that they were taking her with them, too. Once both mom and baby were safe, their rescuers were able to take a closer look at the baby's hoof. The toe on the hoof had been torn and would need weeks of treatment in order to fully heal. 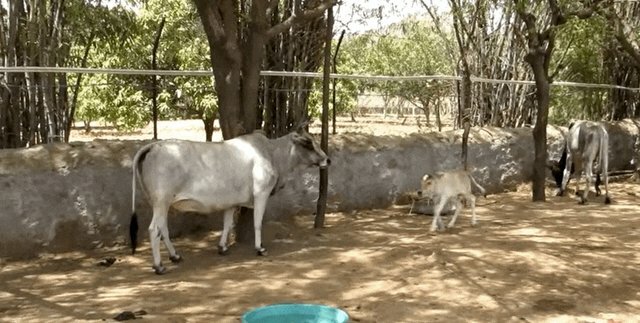 They named the calf Bambi, and continued to treat him ... until finally, the little guy was completely healed and as active as ever. Bambi loves to run and play, but also makes sure he's never too far away from his mom. ... and is overall loving his new life with all his new friends.